It's time for the March edition of Wendy's Favorite Things. This month's Great Eight features some healthy food items, a refreshing fruity-floral beverage, and even an indulgence or two. So...let's get started! (1) DOLE GO BERRIES!™! Strawberry Go Packs. DOLE has a smart solution for San Antonio-area strawberry lovers who want to enjoy their berries on the go. DOLE recently introduced their innovative GO BERRIES!™. Each container has three snack-size packages that easily snap apart, making them easy to pack for lunches or on-the-go snacks! Each mini container contains 4 ounces of fresh DOLE strawberries, and the berry packs are ventilated for freshness and easy rinsing. This proprietary packaging is the first to provide “snap-rinse-go” convenience. I love this product! Each mini pack contains 4 ounces of strawberries and contains just 35 calories. They're perfect for an at-work breakfast -- I simply pack GO BERRIES!™ and a container of yogurt, and I have a healthy breakfast that’s less than 200 calories. San Antonio-area retailers are among the first to offer this product, which is being rolled-out regionally before expected national distribution later this year. 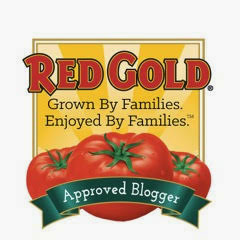 Local residents can find DOLE GO BERRIES!™ at most H-E-B locations. (2) Tim Tim Biscuits. Australia’s iconic chocolate Tim Tam biscuits made their U.S. debut earlier this year. I tried them the first time and was immediately hooked -- they're downright addictive! Tim Tams are a staple in Australia – where they eat more than 45 million packages each year! Tim Tam is quick to point out that it's NOT a cookie. It features a unique combination of three layers: a smooth chocolate cream filling is sandwiched between crunchy malted biscuits, then it’s coated in more chocolate. Tim Tam comes in four yummy varieties: Original, Chewy Caramel, Classic Dark, and a U.S. exclusive flavor: Dark Mint. In its native Australia, the Tim Tam Slam is considered the best way to enjoy this delicious treat. We especially love the milk chocolate Original flavor. To find Tim Tam near you, be sure to visit their online Store Locator. (3) Blossom All Natural Essence Water. I’m always on the lookout for new beverages, and I recently discovered refreshing Blossom Water. This all-natural essence water combines a hint of fruit flavor with a subtle complimentary floral aroma. Blossom Water comes in four uniquely delicious flavors: Plum Jasmine, Grapefruit Lilac, Pomegranate Geranium, Lemon Rose -- my personal favorite. The first flavor I noticed was the lightly sweet lemon…and then a whisper of rose became apparent in the background. I enjoy drinking Blossom Water well chilled to fully enjoy the combination of flavors. Blossom Water contains no artificial flavors, preservatives, or GMOs. 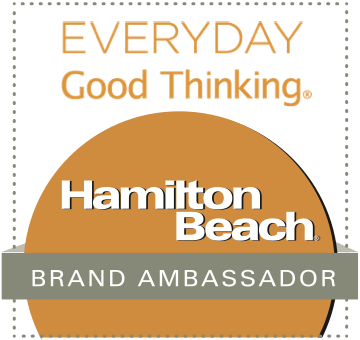 Every 16-ounce bottle is sweetened with a minimal amount of agave nectar and contains just 45 calories. To find Blossom Water at a retail location near you, check out their convenient online store locator. My Texas readers can find Blossom Water at Central Market. (4) Mann Nourish Bowls. Healthy food that also tastes great is high on my list of eating priorities. 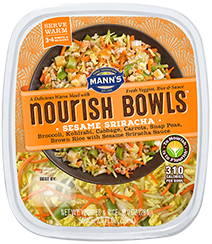 One of my favorite new good-for-you quick meals is Mann’s Nourish Bowls. Mann introduced broccoli slaw to the market 25 years ago as a way to reduce food waste. Today, Mann is introducing their new NourishBowls. Listen to these great flavors: Monterrey Risotto, Sesame Sriracha, and Southwest Chipotle. Each bowl can be heated and enjoyed on its own for a quick veg-friendly meal – or you can also add deli chicken or cooked shrimp for added protein. I love the spicy Sesame Sriracha, which contains broccoli, kohlrabi, cabbage, carrots, snap peas, brown rice, and a robust sesame sriracha sauce. Simply add the cooked rice and sauce to the veggies, toss, and heat in the microwave. 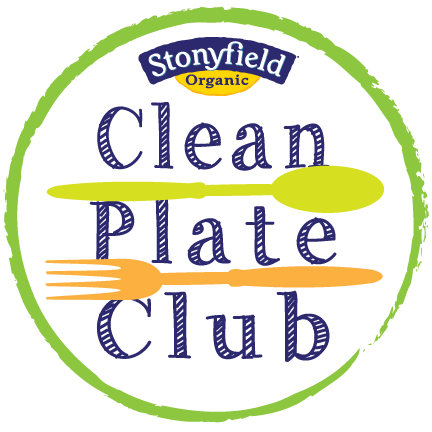 You'll have a healthy meal in minutes that has 310 calories and 8 grams of healthy fiber. Nourish Bowls can be found a major grocery stores nationwide -- including Super Walmart and H-E-B. (5) Purely Elizabeth Ancient Grains Granola. I love eating granola, but many brands are full of unnecessary sugar and unpronounceable ingredients. 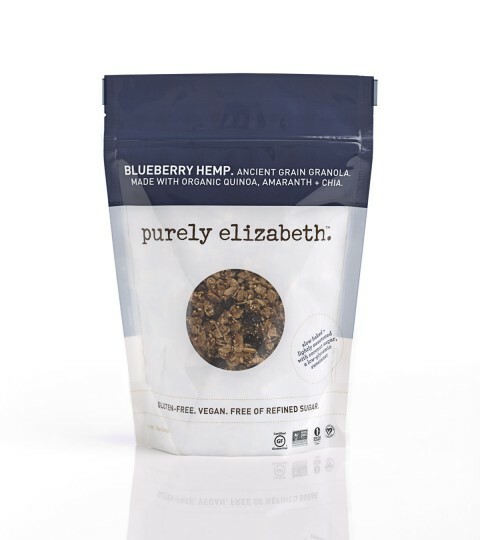 Enter Purely Elizabeth’s line of granola made with ancient grains. I love the Blueberry Hemp flavor, which is made with hemp seeds and sweet dried blueberries. These ingredients are mixed with ancient grains like amaranth, millet, quinoa and chia; oats; sunflower seeds; and organic coconut oil and coconut sugar. This yummy granola is crunchy and lightly sweet. I love to mix it into yogurt and sprinkle it on top of oatmeal for added crunch and flavor! It's also naturally gluten free, vegan, and has no GMO's. Purely Elizabethe granola and oatmeal can be purchased online or found at major retailers -- including Whole Foods and Central Market. (6) Farmer’s Pantry Cornbread Crisps. Here in the South, we love our cornbread. 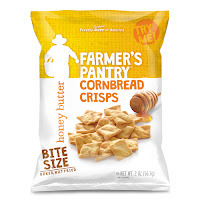 So, it’s not a coincidence that I love yummy Farmer’s Pantry Cornbread Crisps! They take fresh-baked cornbread, slice it thin, and toast it to make crunchy bite-sized crackers. The end result is a crunchy, slightly sweet cracker that’s different from anything I’ve tried. It's great on its own -- or served alongside bowl of soup or chili. 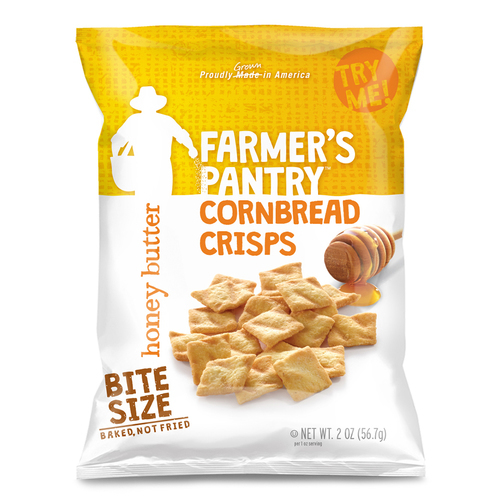 Cornbread Crisps come in three great flavors: Original, Jalapeno, and Honey Butter. I especially love that purchasing Farmer’s Pantry products helps me give back to American farmers – 100% of their ingredients are grown on American farms. They also support a number of organizations that help support family farmers, including Farm Aid and Family Farm Charities. To find Farmer’s Pantry items near you, check out the convenient product finder on their website. (7) Paqui Gourmet Tortilla Chips. It's no secret that tortilla chips are a staple in my house! Of course, we love to dip them in salsa or queso...but I also love to use them in my recipes too. I'm always trying out new-to-us brands of tortilla chips. I recently tried Paqui tortilla chips, which are made nearby in Austin. We love their fun flavors like Nacho Cheese Especial, Roasted Jalapeno, Grilled Habanero, Cool Salsa Verde, and Sea Salt Delight. We especially love the lightly spicy jalapeno and salsa verde flavors paired with cool and creamy ranch dip. Paqui chips are light and crispy. They also contain no GMO’s or trans-fats, so we can feel good about eating them! 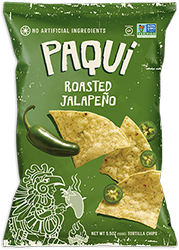 Paqui chips can be purchased online, and they can be purchased a major retailers across the U.S.
(8) EAT! Frozen Entrees. Life’s too short to settle for eating boring, tasteless meals. Enter EAT frozen entrees! Their big-flavor EAT! 2.0™, Latin-inspired EAT! LaVida, and Asian-inspired EAT! BimBap™ frozen entrées feature bold global flavors and quality ingredients at an affordable price. EAT! entrees are made with 100% natural white meat chicken, plenty of veggies, whole grains, and real cheese. What they don't have is artificial colors, flavors, or preservative. EAT! entrees come in six great flavors like Honey Balsamic Chicken, Orange Chicken, and Tomatillo Chicken. 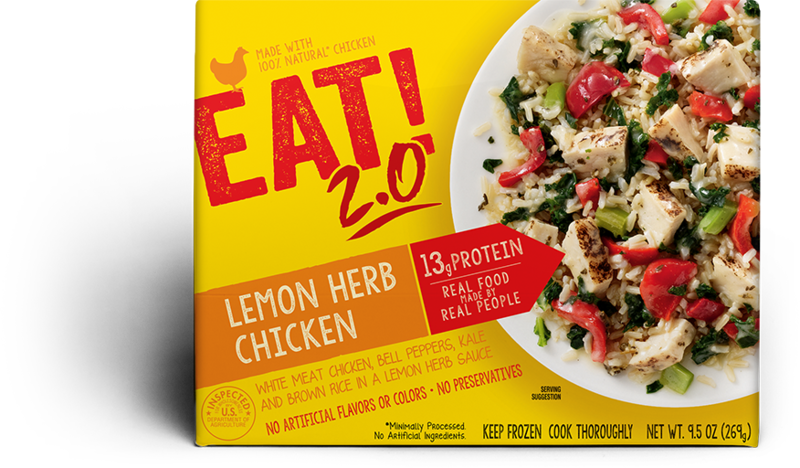 We tried the Lemon Herb Chicken, which is vibrantly flavored and has just 270 calories. To find EAT! 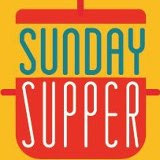 entrees near you, check out their user-friendly store finder. Disclosure: The companies who make the products featured in this month's roundup provided me with sample products to facilitate inclusion. I only recommend items to my readers that I have personally tried and enjoy. All opinions expressed are solely my own.